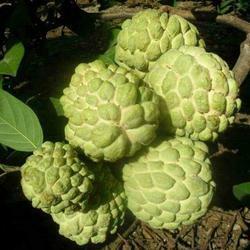 Providing you the best range of thai kg custard apple plant, custerd apple plants, thai kg custerd apple plants, balanagar custerd apple plantrs and samruddhi custerd apple plants with effective & timely delivery. 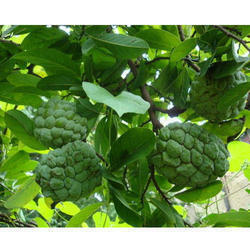 With an objective to fulfill the demands of our clients, we are engaged in providing a wide array of Thai Custard Apple Plant. Our company supply best quality grafted custed plants, plantation distance 12*12 feet, ready to harwest within 24 month. Our company supply best quality grafted thai kg custerd apple plants. Plantation distance 12*15 feet. Delivered all over india. Our company supply best quality grafted balanagar custerd apple plant. 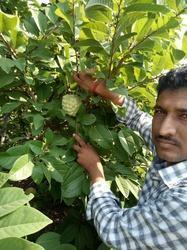 Our company supply best virus fee, healthy grafted samruddhi custerd apple plants. Looking for CUSTERD APPLE FRUIT PLANTS ?